In the following text, I summarise the macrobiotic movement. If you read it, you will have basic notions that will provide you with a better understanding of the Macrobiotic School posts. Macrobiotics starts with George Ohsawa. George Ohsawa (1893-1966) was a Japanese man who defended the use of a plant-based diet. He attributed to this diet the ability to heal and strengthen the individual. 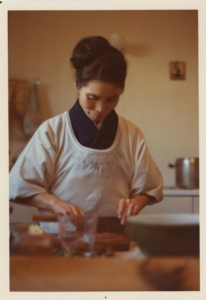 He proposed recipes that were simple and markedly Japanese. He used the yin-yang theory to describe the features of food and why consuming them or not. Many of his statements were radical or ridiculous, other meant to be the beginning of a movement that became what we currently know as natural food as well as the connection between diet and health. At the beginning, his teachings consisted on “the natural way of living”. In the 50’s his teachings adopted their current name: macrobiotics, that comes from Greek and means “long life”. 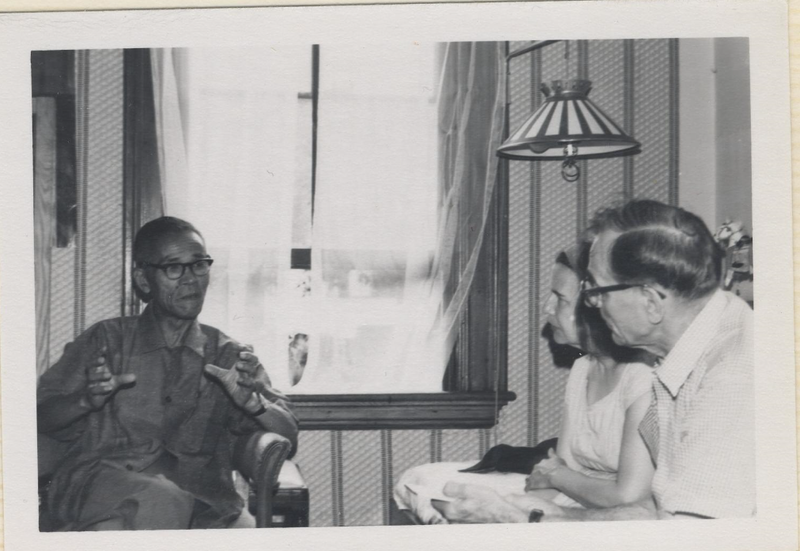 George Ohsawa taught several students who, all around the world, began to teach and have their own schools. Two of these students spread their knowledge even more than Ohsawa. These two were Michio Kushi and Aveline Kushi. Other students of Ohsawa were: Herman and Cornelia Aihara, Shizuko Yamamoto, René Lévy, and Tomio Kikuchi. 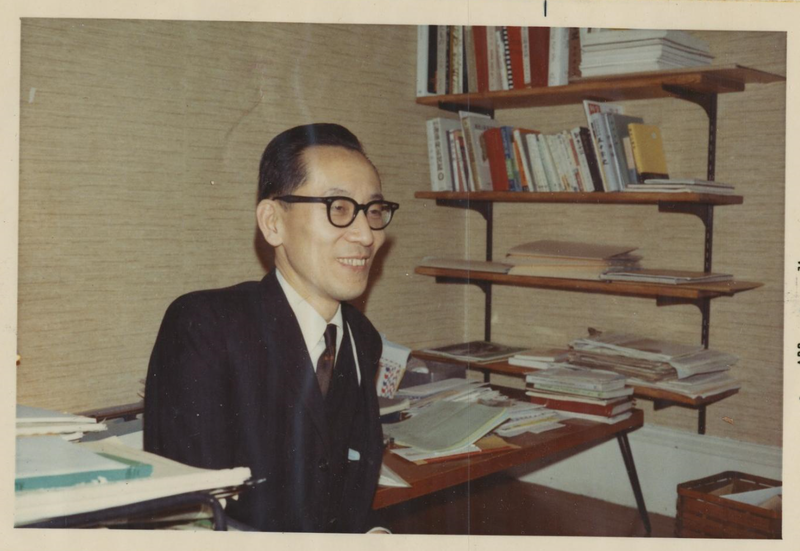 Michio Kushi (1926-2014) and Aveline Kushi (1923-2001) began to teach macrobiotics in the 50’s in United States. Michio’s speeches attracted a great generation of young people who were looking for a new way of understanding the world. Although, at the beginning, Michio treated a variety of topics such as the origin of life and humanity, male and female relations, parenting, cooperative endeavors, healing, acupuncture, organic and natural agriculture, massage, home remedies, physical diagnosis, and so much more… He focused progressively on diet. Aveline gave cuisine lessons to many students, and participated to achieve other projects such as the creation of a school in Becket, Massachusets. The Kushi were very productive, and this caused a huge number of speeches, numerous books, a school and many other things like restaurants and shops. Michio and Aveline reached many people who, at the same time, opened more shops, restaurants or schools that concentrated on macrobiotics. “Vintage Macrobiotics” is the name I put to Kushi’s teachings, as well as his contemporaries’ and predecessors’ teachings. After the Kushi, their students provided macrobiotics with new aspects that were sometimes a bit contradictory among them, but all of them were good to be part of the macrobiotic teachings’ nucleus. Some of these teachers are: Murray Snyder, Bill Spear, Edward Esko, Bill Tara, Denny Waxman, Ryk Vermuyten, Marc V. Cauwenberghe, Craig Sams, Chico Varatojo, Adelbert Nelissen, Michael Rossoff, John Kozinski, Diane Avoli, Mireia Ellis, Christina Pirello, and Bettina Zumbdick. This generation of students is what I call “second-wave Macrobiotics”. Among the second-wave students, Alex Jack is worth mentioning. 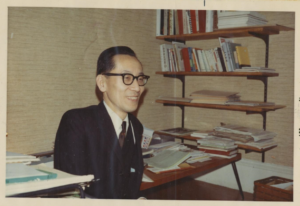 Although he did not work as a teacher or macrobiotic consultant actively, he did take part in writing a great amount of books with Michio Kushi and Aveline Kushi as a coathor and/or as an editor. Without him, spreading macrobiotics had not been as successful as it was. Nowadays, the second-wave group of teachers teaches a third-wave group of students who are in a world that is different from the world where macrobiotics was born. Therefore, there is a need to change the way it is communicated, as well as the way it is taught in accordance with the new knowledge of this time. The present website is part of the third-wave generation. The best exponent of the macrobiotic teachings is Michio Kushi. He is the best because of the almost 50 books that he published, the enormous number of speeches that he gave all around the world, and the creation of schools, not only personally (Kushi Institute) but also indirectly, as he inspired and trained students who would create their own schools. When you wonder what Kushi’s teachings were about, you wonder what macrobiotics is. Understanding the natural order and apply the already stated understanding to our daily actions in order to be healthy and happy. However, macrobiotics is only known by its diet. This is due to the recommendation of Ohsawa and Kushi who said it was important to begin by watching what we eat, because it determines how we feel and what we think. If we care about what we eat, we will be strong enough and we will have a clear mind to keep putting in order other aspects of our life. This way, Kushi’s teachings, at the beginning a bit diffuse, started to focus on how important it is to eat according to the natural order. He created a model that he called “Standard Macrobiotic Diet” that he exemplified with a pie chart, and afterwards, with a nutrition pyramid . This model is the most used one worldwide to teach what macrobiotics is. 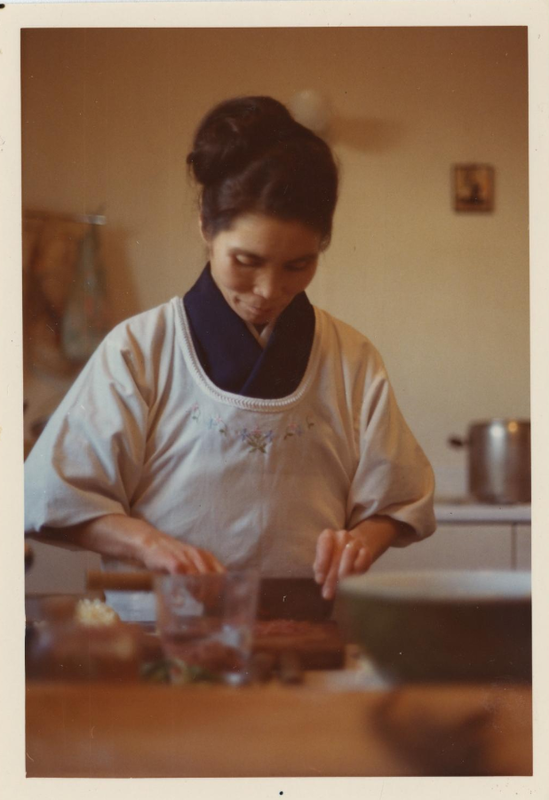 The macrobiotic cuisine that was taught in its own golden era, in the 80’s, was a very simple cuisine with Japanese features. A great variety of whole grains, vegetables and legumes were used, as well as a minimum amount of fruit and fish. Some foodstuff was excluded systematically because they were considered to be very yin, as for example: tomatoes, aubergines, potatoes and peppers; or very yang, as for example: eggs, red meat, poultry or salting. It is such an easy cuisine, without processed foodstuff that, in many occasions, is enough for our body to recover. The biggest inconvenient is that it is far from the eating habits that most of us have. Even though it is considered a very ancient kind of cuisine, my thesis is that it is very new and unique, almost artificial, but effective with many health issues. The most important model of this cuisine style is Aveline Kushi, who published around 20 books about it. People often ask, “What is the difference between macrobiotics and nutrition? Aren’t they the same thing?” Nutrition, the study of food’s individual, separate physical components (fats, vitamins, amino acids, and so forth) is an exiciting and valuable field of science, but it represents only a fragmentary part of the true study of food. In this sense, nutrition might be termed microbiotics. Knowledge of the physical mechanics of a vibrating violin string cannot explain the majesty of a great symphony; likewise, nutritional science alone cannot realistically hope to unravel the dietary and health behaviour of a nation. The way we will feed ourselves in the future should include both nutrition and macrobiotics. It is about time that both nutrition and macrobiotics understand each other, and we are meant to live the transition towards the moment when nutrition understands the natural order. For more information about the macrobiotic pie chart go to the post Foods of the Macrobiotic Diet. About the nutrition pyramid go to the post The Macrobiotic Pyramid. Pictures from late 1960’s. Smithsonian Institution. Web: https://edan.si.edu/slideshow/slideshowViewer.htm?eadrefid=NMAH.AC.0619_ref2363. Quote from Michio in 1987: Kushi, M. (1987). Obesity, Weight Loss and Eating Disorders. Tokyo and New York: Japan Publications, Inc. P. 16.